The Apple HomePod has finally arrived. This remarkable speaker and home assistant, which adapts to its environment and delivers incredible sound, has audiophiles and productivity gurus giddy with excitement. In fact, the only thing better than owning one of these revolutionary devices is getting one for absolutely free, which is exactly what can happen when you sign up. Leave it to the geniuses at Apple to create a device that brilliantly adjusts the tone and range of its audio output according to its environment. Whether you're in your apartment or a football stadium, the HomePod will deliver perfectly-tailored audio for your listening pleasure. It also acts as a super-smart home assistant, and is capable of handling everyday tasks like setting a grocery list and controlling countless features around the house. 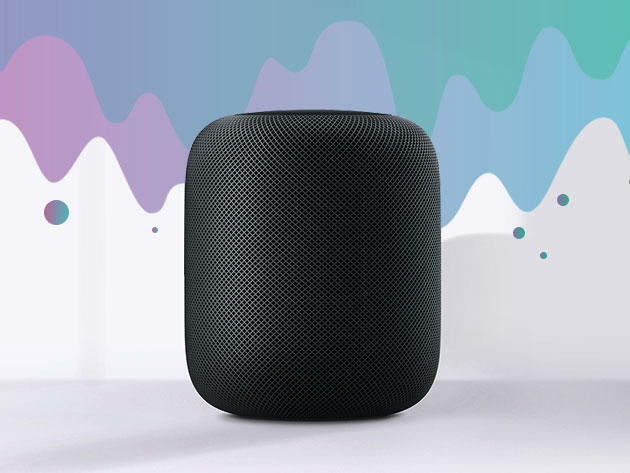 Sign up to win an Apple HomePod—valued at $349—today.